Arabian Nights takes you back in time to the Islamic Golden Age; the age of Aladdin and Sinbad with its flying carpets, its Arabian Princes, and wish-granting genies. 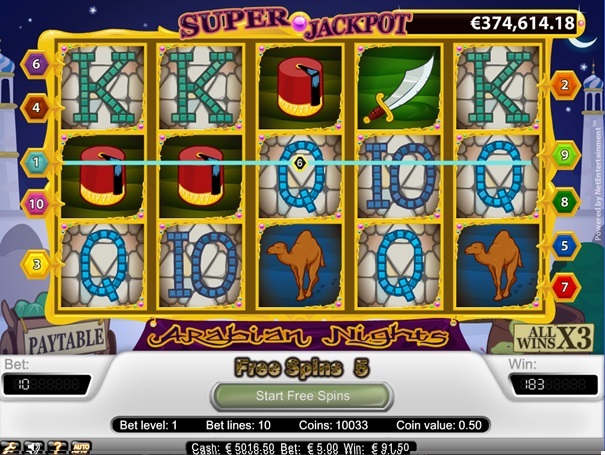 Arabian Nights is a classic, traditional slot which offers simple gameplay and a huge jackpot, all in the surroundings of the 13th century Middle East. “Arabian nights, like Arabian days. More often than not. Are hotter than hot. 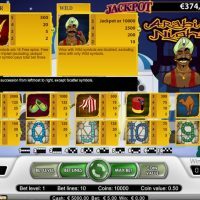 In a lot of good ways.” Or so the song goes, anyway, and Arabian Nights was certainly hotter than hot when it first launched as it was the first slot from NetEntertainment that offered a huge progressive jackpot. However, 12 years on from its launch, Arabian Nights gameplay and graphics may now seem pretty dated, especially when you compare it to some of the other titles that NetEnt offer. 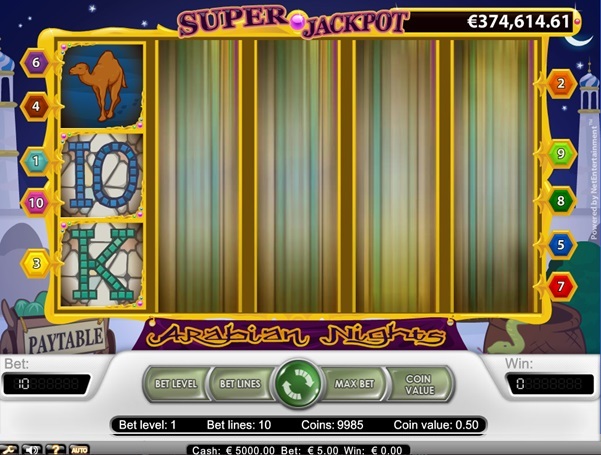 But for the more experienced gamer, this aged slot offers great nostalgia of a bygone online casino world. Arabian Nights is based on the folktale books from the Islamic Golden Age, One Thousand and One Nights, or Arabian Nights as it was called in English. There are 12 different symbols on the game of which 7 come with a traditional Arabian feel with a fez, a jambiya dagger, a camel all on show. There is also a lantern, and by getting three of these in one spin, you will be given 15 free spins. But the best symbol to get is the ‘Wild’ card, the symbol with the Arabian prince on it. 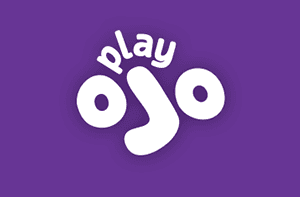 Getting 5 of these in one spin gives you the chance of winning the huge jackpot which can be as high as £/€2,000,000! 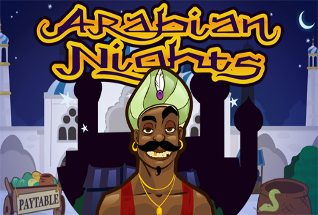 There is no bonus round on Arabian Nights as such, though there is a chance to claim free spins by hitting 3 or more lanterns in one spin. With 12 symbols on the game, you may think that the house edge will be quite high, but it’s only stands at a minimal 4.4%. 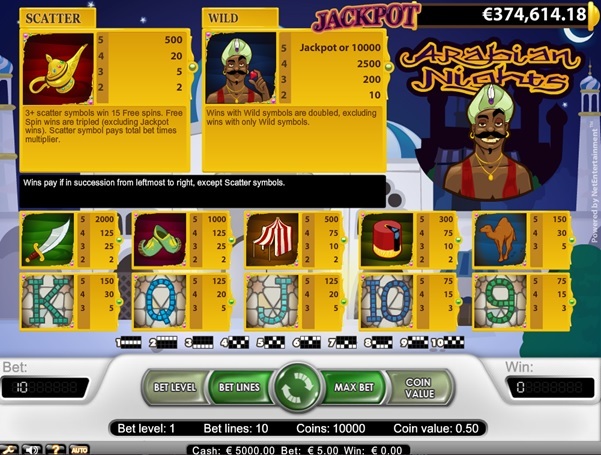 You can bet from £/€0.50 to a £/€5 per spin, which is an extremely basic parameter. 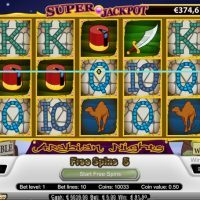 The reason for this is that it’s a progressive slot so everyone pays the same amount to play the game, and therefore every has the same chance of winning the big jackpot. Even though Arabian Nights is an old game, it does offer an autoplay feature, which comes with a range of advanced settings where you can stop the autoplay in its tracks. 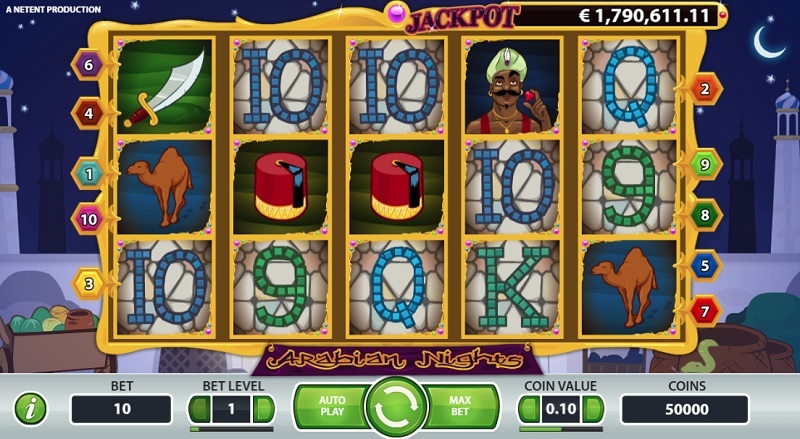 Although this is something of a retro slot game, it comes with a much more modern looking super jackpot. This commonly reaches 6 figures and can even get as high as 7 figures, making instant millionaires. That’s pretty rare for such an old game, but the benefits of playing Arabian Nights do not stop there. 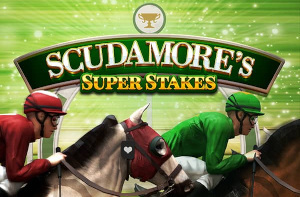 Although the graphics now look a little tired, it’s obvious it was something of a pioneer in its day with the free spins bonus a nice touch. 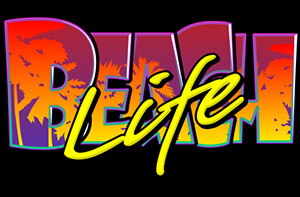 However, there is no feature bonus round offered and, for that reason, some players may be put off. And that’s a real shame as there is plenty to like about this classic slot.